Werewolf training is not designed to get you ripped or “toned” (::barfs::), or even super strong, but you will get stronger anyway. This is much more of a bodybuilding routine than anything else, but with great strength benefits. This is not for powerlifting or strongman training, but some level of strength will definitely be gained with Werewolf Training. Everyone using this routine has added weight to all their major lifts. My recent research on Taylor Lautner and how he trained to gain 30 pounds for his role as the werewolf Jacob Black in The Twilight Saga: New Moon is what actually prompted me to write up this routine. Without further ado, let’s get into the principles of Werewolf Training. When you see set protocols that look like 3 x 5, the goal is to use one weight for every work set. In this example you would use the same weight for 3 sets of 5 reps. If you can get the required number of reps for all sets, you should go heavier next time. Choose a weight to start each exercise. If you think you can add weight and still complete the number of prescribed reps for the number of prescribed sets for that exercise, you may increase the weight between sets. HOWEVER – you should not have to decrease the weight at any time during the exercise. Example: When doing the bench press, 4 sets of 5 reps, you start with 185 and get 5 reps easy. If you choose to go up to 200, you should use 200 for the rest of the exercise. When you see set protocols that look like 5 x 5, 2, 1, 1, 1 or 3 x 12, 8, 5; the goal is to increase the weight for every work set. For each set, if you can get the required number of reps you should go heavier for that rep range next time. Even when you see 1, 1, 1 you should increase the weight by at least 5 pounds before starting the next set. Jordan Yuam, Taylor’s personal trainer, had Taylor testing his limits by using 40% more weight than Taylor typically used for a 10 rep set. Overloading was used for 2-3 sets of 5 reps every other week. This type of training requires a strong, experienced spotter. Don’t try it without one. Taylor didn’t stick to a 3×5 or 5×5 or 3×10 type of routine. He worked all of his muscle fibers equally by varying the volume from week to week. A study in the Journal of Strength and Conditioning found that strength can be increased by 28-43 percent just by varying rep counts and training different muscle groups. It is still good to stick to a certain rep range based on your goals, but it is even better to occasionally change it up to force your body to adapt to new stimulus. When doing higher reps with lighter weight, you typically need fewer sets. Two sets of 10-12 reps is not uncommon. When doing lower reps with heavier weight, you often need more sets. If is good practice to use four to five sets when training in the 1 to 5 rep range. Free weights are best, but Taylor also used added tension with bands. The added tension increases the difficulty of the easiest portion of each lift, which is usually at the top, by accelerating resistance at the end of each rep. Recruiting additional muscle fibers using this method definitely adds to the growth potential of each and every set. Incidentally, bands are used in elite powerlifting circles like Louie Simmons’ Westside Barbell. Typically we don’t like to use weight belts, wrist straps, or lifting gloves during our workouts, but there is a time and a place for some training assistance equipment. Weight belts can certainly be used for max effort attempts during exercises like deadlifts; they can help add stability and confidence to the lift for those with a weaker core, but during sub-maximal effort lifts they should be avoided in order to help build the strength in the weaker core. Similarly with wrist straps they can be used in max effort lifts where the grip is required such as deadlifts and barbell shrugs; they can help enhance a deficit in grip strength, but again during sub-maximal lifts they should be avoided in order to build grip strength. Gloves? Well there’s really no place for gloves in Beast Mode. Taylor’s main goal was to gain 30 pounds of muscle mass. His metabolism was going to keep him ripped no matter what, so in order to gain muscle he had to cut back on cardio. If your only goal is to get ripped, HIIT cardio and HIRT are great schemes, but skinny hardgainers should minimize endurance training during a bulking phase. 20 minutes is the limit. Note: For those who wish to add cardio, there is one HIRT session scheduled after every upper body workout. Using the HIRT session might decrease your overall muscle gain, but it will also minimize your overall fat gain and keep you in better cardiovascular health. Remember, the HIRT session is OPTIONAL. The rules of weight training apply to the abdominals. It doesn’t make any sense to train your abs every day. Taylor Lautner only trains his abs 3 days a week. We pick a set of exercises that works the whole core and limit ab training to thrice a week. Every lower body day ends with a 3 exercise abdominal circuit, which is NOT OPTIONAL. Most people train up and down, front to back. Yuam knows that side-to-side training is important too. Diagonal and sideways movements are vital for a versatile training plan. Recovery is so important to growth. Without recovery, you just can’t grow. You will have the option of taking an extra day off after every 4 workouts. This off day in included in the program, both on the webpage and on the spreadsheet, but remember the extra rest day is OPTIONAL. Lautner takes every third day off. Limit training to 5 days a week. Weight training sessions should be kept under 60 minutes. Sleep for 7-8 hours each and every night. Recovery is important within a workout as well. We want each set to receive maximal intensity and muscular facilitation so we want to make sure your muscles are fresh for each set. Supersets will still require no rest between sets. They will be denoted by a, b, and c.
2-4 minutes rest between exercises, as necessary. Always end your workout with a 10 minute stretching session. Post-workout stretching increases both recovery and flexibility. This is a good thing. Stretch every muscle group for at least one minute. Hold each static stretch for 20 seconds and repeat at least twice. Never use static stretching before you train. If you must stretch before you train, use only dynamic stretching. Think of your stretching session as a cool-down. Stretching does not count towards your 45-60 minute workout limit. You gotta feed the machine or it won’t grow. Here’s how. For example, lets start with a 160 pound man who wants to weigh 180 pounds. Let’s consider that our 160 lb man is an ectomorph. He has always been thin with little to moderate muscle development, but it is difficult for him to really gain considerable muscle mass without drinking weight gain shakes all day long. His metabolic co-efficient (M) is 11. Calculate total number of hours of training weekly. If you are a busy guy you might be limited to three 45 minute sessions plus some warming up and stretching, which will come out to about 3 hours a week. For this example, based on Taylor Lautner’s routine, at 5 days a week and 60 minutes a session, our man will be training 5 hours a week. You should get 1 gram of protein per pound of body weight each day. The best protein powder you can choose for your Werewolf Training routine, is Optimum Nutrition. They have the highest quality protein for the cheapest prices. Click on this link to get some Optimum Nutrition protein powder now. You can estimate about half of your goal weight in healthy fats each day. The rest of your calories should come from high quality carbohydrate sources such as whole grains, vegetables, fruits, and legumes. First let me say that you don’t need any supplements to succeed with Werewolf Training. Just eat a ton of the right foods, and you will grow. That being said, I know many of you will want to make the most of this routine by increasing your body’s capabilities with supplements. Therefore, I am going to recommend the 4 best supplements for you to use to gain muscle. Studies repeatedly show that you will recover from an intense workout twice as fast if you use a post-workout drink within 20 minutes of finishing an intense workout. It is a known fact at this point, so if you’re not using a specially formulated post-workout drink in that 20 minute window, then you’re throwing 50% of your gains right out the window. This post-workout shake contains four parts carbs to one part protein, which is exactly what you need to ensure speedy muscle recovery after intense workouts. It tastes great, is all-natural, and contains no artificial flavors or sweeteners. Mix it with water in a shaker bottle right after your workout – quick and easy. Dextrose for optimum glycogen replenishment, a necessity after an intense workout. An easily digestible protein blend, providing critical amino acids to immediately restart protein synthesis. Antioxidants and vitamins, which help to reduce soreness and assist in tissue repair and muscle growth. Click here to get some P90X Results and Recovery Formula for your Werewolf Muscle Training routine! N.O. supplements are some of the most popular bodybuilding supplements. N.O. will increase your pumps and, more importantly, increase your strength endurance. I find myself getting an extra 2-3 reps on every set when I’m using an N.O. supplement. This N.O. supplement is a Hemodilator, which gives you extra energy by pumping more blood through your body. N.O. supplements give you incredible pumps… you will look and feel stronger than ever. N.O. supplements increase levels of Nitric Oxide in your body, increasing both strength and endurance. By increasing your metabolism, N.O. supplements helps you avoid typical bulking-phase fat gains. Click here to get some N.O. for your Werewolf Muscle Training routine! Whey protein supplements can help you get the strong, powerful, lean, healthy body that you dream of. Hard-gainers can make higher carbohydrate protein shakes, while mesomorphs and ectomorphs can opt for the low-carb protein recipes. Click here for a list of more than 100 protein shake recipes. First, check out Shakeology – it’s not just your average protein shake. Comes in two great flavors. Click here to purchase or learn more about Shakeology. Make protein shakes to supplement your daily protein intake. Mix with foods you eat everyday to increase your daily protein intake. The amino acids in protein are the building blocks of muscle tissue. More calories = more muscle! Click here to get some Optimum Nutrition whey protein. Xtend is a scientific blend of amino acids consisting of the proven 2:1:1 ratio of energy BCAAs (L-Leucine, L-Isoleucine and L-Valine), Glutamine, Citrulline Malate, and Vitamin B6 that will give you the energy you need to maximize your training and enhance recovery. Remember, Xtend is full of glutamine, which is an important amino acid for energy and muscle recovery. You can take a serving of Xtend before, during, and after any workout, as well as right before bed and first thing in the morning. A steady supply of amino acids can only do a body good. Just don’t drink so much that you make yourself sick of it! Trust me, I’ve been there. Click here to get some Scivation Xtend for your Werewolf Muscle Training routine! The purpose of creatine supplementation, is to build up the creatine levels in your muscles in order to increase strength and long term muscle gains, by more efficiently rebuilding ATP levels during your workouts. If you don’t know, ATP is what muscles use for short intense muscular contractions like weightlifting, sprinting, throwing, and jumping. The good news is that Kre-Alkalyn has a higher absorption so it doesn’t require front loading and reportedly causes less creatine bloating and stomach problems. Kre-Alkalyn offers you a brand of creatine that is 100% stable, will not break down into creatinine, and will absorb efficiently into the bloodstream. Each gram of Kre-Alkalyn is equivalent to 10 grams of creatine powder. The theory behind Kre-Alkalyn is: scientists discovered that the higher the pH of your creatine, the slower it is converted to creatinine. Pure Kre-Alkalyn has a pH of 12, the highest pH product on the market. This particular product also claims to use an enhanced delivery system, which gets the product into your blood stream even quicker. Click here to get some Kre-Alkalyn for your Werewolf Muscle Training routine! Your other options are to get regular old creatine monohydrate or creatine malate, which are both good, but reportedly not as good as Kre-Alkalyn. Just please do not get scammed by liquid creatine or creatine ethyl ester, or any of the other ‘advanced delivery’ creatine scams. That liquid stuff never works. That’s just about all you need for supplements, although there are many other options available if you have the cash. The number of supplements you use depends highly on your budget and your willingness to drink shakes, juices, and take pills all day. Here is a 3 week, 21 day, 18 session workout routine designed to build muscle. It consists of 12 resistance training sessions, 6 neural activation training (NAT) sessions, and 6 ab workouts. Click here to learn more about NAT. NAT workouts are optional, non-fatiguing, and will not lead to overtraining if used properly. NAT workouts will add to the effectiveness of the routine if you choose to use them. Abdominal workouts are scheduled on NAT days, but instead you can train your abs on any non-consecutive workout day. All NAT and abdominal training options are listed in the routine and on the spreadsheet. Do whatever fits your schedule and recovery ability. I have tried to limit the exercise selection to equipment that most people can get at a gym, which includes barbells, dumbbells, and a box or bench. Click here to learn more about Resistance Bands. You can find resistance bands at some gyms, but typically you will have to buy them on your own. Do not buy the resistance bands they sell at WalMart or Target, those are garbage. Go online and find real resistance bands that you can attach to free weight machines. The bands are best used with the first couple compound exercises of the day such as bench press, deadlift, military press, and squats. They can also be used with many of the other exercises. Your limitations will be set by your own creativity. 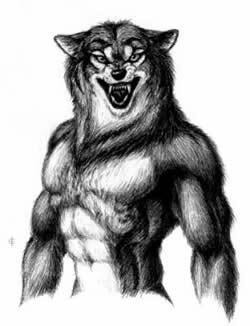 The latest version of Werewolf Muscle Training is 3.0. It is the most comprehensive Werewolf Muscle Training to date, updated based on personal and reader feedback. A printable html document and an Excel spreadsheet is available for Werewolf Training 2.0, 3.0, and each update from this point forward. You can download them all at the link below. Use these spreadsheets to track your progress. Either keep track of your numbers on the computer, or take the print-outs to the gym with you. A clipboard works great to hold your workout logs if you decide to print them out. I recommend using pen to record your numbers, as pencil fades over time. Consistency is key. You must be consistent and disciplined in your training. Taylor Lautner had a multi-million dollar movie franchise contract on the line. You need to train like your future is on the line too, if you want to make the most of your workouts. I haven’t tested this program out over a long period of time, so I’m going to need a couple people to try it for at least 3 cycles. That could be as quick as 54 days, or if you take an additional rest day every 7th day (see below), you’d be looking at about 63 days. I’m guessing a solid 10 pounds of muscle could be gained in less than a half a year using this program, as long as you train at least 4 times a week, use proper recovery, and eat right. After using this program for 3 cycles, 54 days or 63 days depending on how many rest days you decide to use, you should take one full active recovery (little to no weight training) week. Read more about active recovery here. Apparently a guy named Chris used this routine with a low calorie diet to lose 50 lbs in 6 months and gained some muscle along the way. I’m trying to get him to write about his experience, but not sure if he will. It doesn’t mention Project Swole at all, but here are his results: Chris on Facebook. Click here to qualify for free movie tickets to Twilight: Breaking Dawn! Can I still get big in the same amount of time without a spotter? A spotter is not a requirement on 99% of these exercises, just a suggestion. So for once I am really serious about hitting the gym and I have done a lot of research over the past few days and stumbled upon this. I am really intrigued by this workout especially since it is based of Taylor Lautner’s workout routine. I am doing this to build muscle mass and lose weight. Currently, I am fat (not huge but not skinny) and would like to get rid of it over time, but not too fast where it intrudes with my muscle building progress. I would like to keep track with you since no one has ever shown their results for losing fat and gaining muscle. I wouldn’t mind posting before and after pictures when done in exchange for advice along the way. I have started the 3.0 workout and I really enjoy it, but I was curious as to when to take days off. In the other workout versions you have mandatory days off and optional days off, but in 3.0 you only have one day of per week. I do not mind going HAM all week, but you do state above to take every third day off. Also, when would I include tension belts in the routine and when should I use negative overloading? Should I only do this for bench, or should I do this for squats, curls, triceps, etc.? Eventually could I try varying the workout routine by combining lower body with abs on one day and take the third day off? Should I begin to add in new exercises to each work out over time? I am not in great shape and managed to finish day 1 in 30 min with no problem. Also, for my diet, I have calculated all the above information for calories, protein, carbs, and fat. To accommodate for weight loss, I just multiplied my carbs and fat intake by a percentage when I had finished all calculations. I am 21 years old, 6’4″, and weigh 230-235 and my goal weight is 215-220 and to be mostly muscle. Thanks for your consideration. Hey steve, i’m thinking about starting this very soon. My only question is which one to choose? is 3.0 better than 1 and 2? why have you decided to do so much tweaking? I think version 3 is the best. All the tweaking is to make sure the routine is the best it can be based on personal and user feedback. When you write DB standing alternating shoulder press – 2 x 12, does that mean 12 each side or 12 total, meaning 6 each side? On werewolf 3.0, workout 11, what are rack lockouts?? I have followed your blog for two years now and have modeled my workouts after your programs. Your knowledge and routines have resulted in great results for me. Thanks. Question: I have noticed that when I take an active recovery week between routines that I come back to the gym a touch weaker. It bothers me only because I hear others say that when they take a break they come back stronger. I did some NAT training, swimming, etc. to keep fresh. 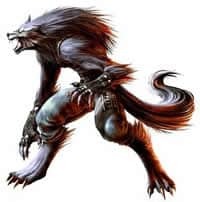 Could my soreness and slightly weaker lifts be due to that Im switching from the Fat Loss full body workout to the Werewolf muscle upper/lower splits? I'm 6'0 and 130 pounds. I eat lost, but I can't seem to gain weight. Will this program work for me? If you actually read te top few paragraphs it says this workout is for people who want to gain muscle/weight! Never find a workout and just look at the routine, you need to read up about it first and look at diet ect. Question 1. With regards to supersets, should I be performing one set of A immediately followed by one set of B and repeat until all sets are complete and then rest, or is there a rest after doing one set of A immediately followed by one set of B? Question 2. What would be the difference between resting for 40 seconds versus 90 seconds? Question 3. For neural activation training what is the recommended rest between sets? Question 4. With regards to abdominal training, does one perform each exercise (such as A then B and then C) and then rest, or rest after each set? 2) 40 seconds = better conditioning, more lactic acid, and less strength due to a shorter recovery. 90 seconds is pretty long and should be used sparingly unless you are a powerlifter or training for some other sport or competition. 3) Isn’t that question answered in the NAT post? I was wondering why the 3.0 version reduces the amount of sets from 3 to 2 for the superset exercises. I prefer 3 but wondering if that makes a big difference in muscle gain? Thanks. I found doing 2 intense sets is enough for most of the secondary exercises, as long as training frequency is at least bi-weekly for the chosen muscle group. Just wondering why v3.0 of the plan contains different exercises on some days – some have been added and some removed, and reps etc changed – is this due to trial and error or improvements? The changes are due to trial and error, user feedback, and obvious improvements. I have been following your routine for three months now, but I’m not fully satisfied with the results for my arms and legs. Abs are fine. Naturally, muscle building takes time, sometimes up to a year. On the other hand, I get the feeling that I’m not doing as much lbs as I can for a regular set. Now I wonder: on how much percent of my 5,2,1,1… /1RM max should I train to gain muscle, while still not overtraining myself? You can try tossing in the occasional set of 20-rep paused breathing squats. Do them towards the end of your leg training, as you should not actually be able to function for 5 minutes if you do these right. Pick a weight you can normally do for 10 reps. Don’t stop until you hit 20. To accomplish this, pause at the top of reps 10-20 and take a couple breaths. Don’t go back down until you are confident you can get back up. But also don’t rack the weight until you hit 20. For 5,2,1,1,…,1 you should be training with a maximal weight. If you can get more than 6 reps with perfect form on your set of 5, not heavy enough. If you can get more than 3 reps with perfect form on your set of 2, not heavy enough. Your first set of 1 should be a weight you can get 2, but then keep progressing in 5-10 pound increments until you realize your true max. However, try not to reach a weight that actually causes you to fail. The CNS doesn’t like failure… you don’t want to train it to fail, you want to train it to perform precisely with the maximum load you can handle.